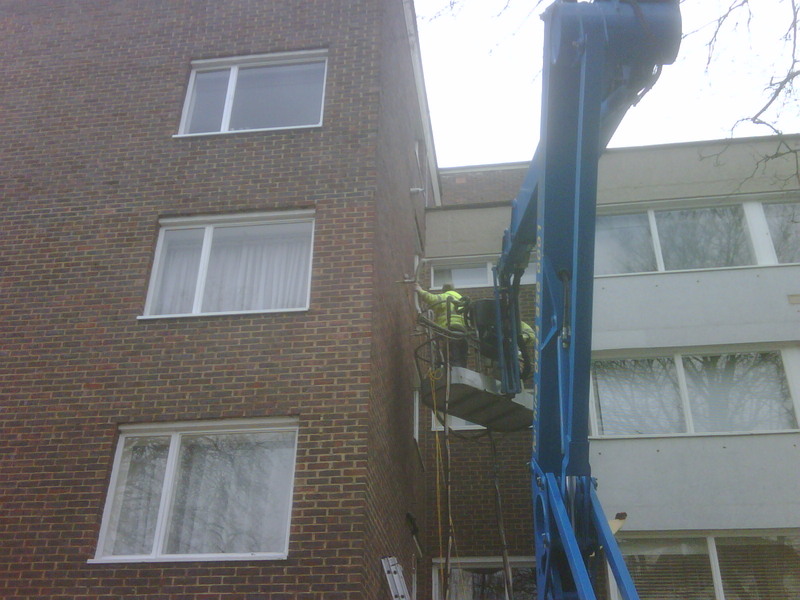 Here's something that made me smile - a private block in Belsize being cavity wall insulated. The guys on the crane are injecting polystyrene beads into the cavity. When I saw this I thought it was the result of Camden Council's new policy of helping blocks like this to do the work because it's so hard to get all the individual flat owners to agree on what needs to be done and who should pay for it it. But no - the owners of this block - Lowlands in Eton Avenue - managed to agree among themselves that the work needed to be do so all credit to them.